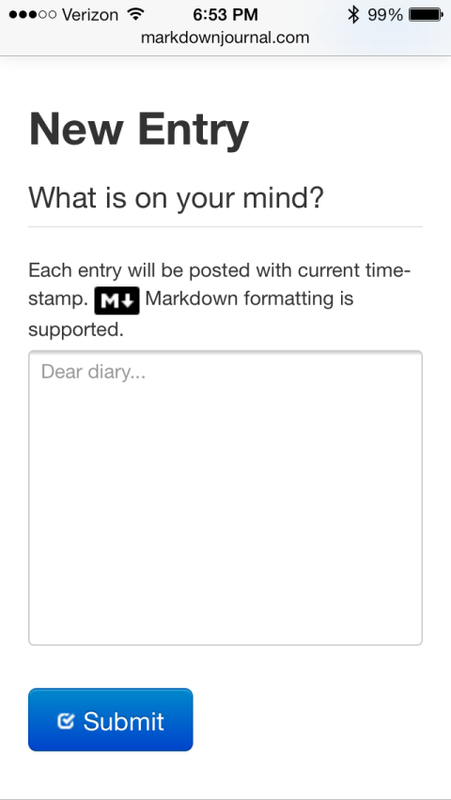 Markdown Journal is an open source, web based journaling application that integrates with the Dropbox cloud service. The project was written in Ruby programming language and runs on the Sinatra framework. The Dropbox integration is accomplished via the official Dropbox-SDK Gem. Journal entries are saved in the Markdown file format. Markdown Journal is distributed under the GPLv3 license. The source is provided as is with no guarantees. The markdownjournal.com service does not guarantee data integrity. Your files are not parsed or verified, and while this software shouldn't mangle or destroy your entries it may happen. By using this service you agree that you will not hold the author of the software responsible for any data loss.